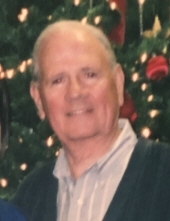 Durham: Robert "Bob" Rikard, 85, died Saturday, November 3, 2018, at his home. He was born in Olive Branch, MS, the son of the late Aaron Rikard and Mary Simmons Rikard. He was preceded in death by his wife, Marilyn Rikard and a granddaughter, Heather Roberts. Bob was a veteran of the U.S. Army. He was a professional baseball player for 12 seasons between 1952-1964. He played 1250 games for the Cardinals, Cubs, Twins and finished his career for the Durham Bulls. Upon retirement, he worked as a regional manager with Integrity National Insurance. Mr. Rikard is survived by his daughter, Lori Walthall and husband Darrell; son, Michael Rikard and wife Amber; sister, Joyce Murdock and husband Fred; grandchildren, Crystal Johnson and husband Scott, Keaton, Emery, and Culley Rikard; great grandchildren, Kailey and Kacie Johnson and Carson Roberts. A graveside service will be held 11 a.m., Thursday, November 8 at Raleigh Memorial Park with Dr. Clay Waters officiating. Flowers are acceptable. To send flowers or a remembrance gift to the family of Robert "Bob" Rikard, please visit our Tribute Store. "Email Address" would like to share the life celebration of Robert "Bob" Rikard. Click on the "link" to go to share a favorite memory or leave a condolence message for the family.